CNG Cylinders are of great importance because they can be put into use in place of diesel fuel, LPG/propane and gasoline (Petrol) and promotes proper running of vehicles at comparatively low cost than petrol. The useful or serving life of these cylinders depends upon a number of factors from being certified, to usage of high grade raw materials, etc. But one of the major factors that can increase its serving life is, Testing. 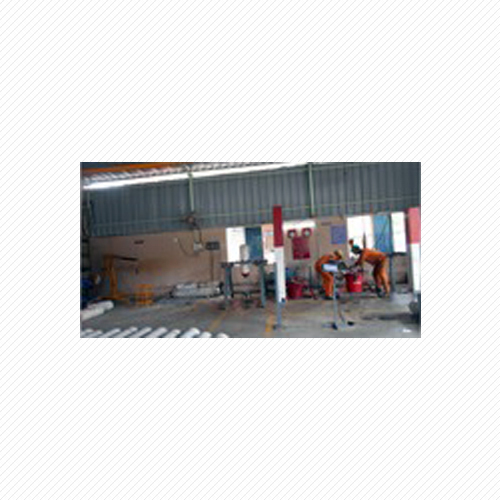 CNG Cylinder Testing Services that our company is engaged in rendering assures proper functioning and reliable result to the customers. We have a highly talented and experienced team of service providers that make sure that these services render total satisfaction to the customers. The testing that CNG Cylinders undertake is extreme and assure various factors like leak free working, and many others. The tests conducted by our team of experts in order to ensure proper running of CNG Cylinders includes drop impact testing, environmental test, vibration test, bonfire test and low temperature pressure cycling.